Stanislav Lakoba is a well-known Abkhaz historian and politician. He is the author of several publications about the ancient and recent history of Abkhazia, including the history textbook adopted by the region's schools. He ran for vice-president in the first round of the 2004 contested presidential elections. From February 2005 until August 2009, he was chief of the Security Council of the de facto government of Abkhazia. 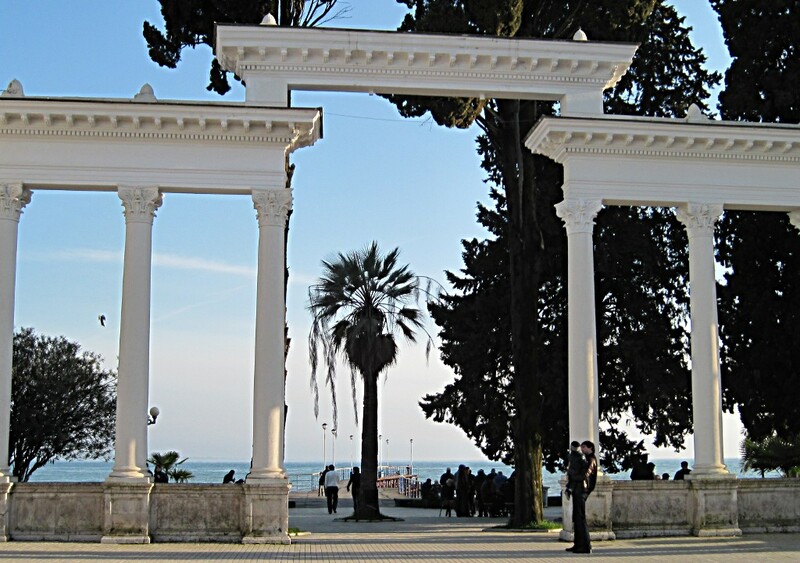 In Abkhazia, is there a widespread sense of belonging to Europe? 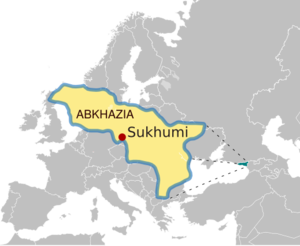 Abkhazia is probably one of the most European regions in the Caucasus. This is mainly due to the presence of the Black Sea which has connected this land to Europe since the Middle Ages. In fact, in the 13th century, the Genovese settled in the same city where we are standing today, Sukhumi, which was at that time known as San Sebastian. During the very first years of the Soviet Union when Nestor Lakoba was governing Abkhazia, he convened a considerable number of Italians who knew how to manage a harbour, ships' captains, etc. Even today, the harbour vice-director has an Italian last name. The events surrounding the 2008 conflict in South Ossetia have heavily damaged Europe's image in the region. We regarded ourselves as Europeans, but we perceived that Europeans did not regard us as such. It was a consequence of the harsh statements released by the European leaders during those days, starting with Javier Solana, who had been here on the eve of those events and knew our situation well. This has dramatically influenced what Abkhazians think of the European Union. There has been a negative view of the United States here for a very long time due to the fact that the US recently rearmed Georgia. In the beginning, though, the European Union had taken a less radical position. 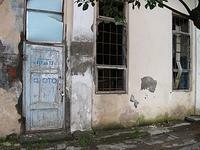 It never showed willingness to recognize Abkhazia, but it seemed open to dialogue. What are the current relations between Abkhazia and the European Union? Many meetings have taken place but not much has been achieved in practice. I had hours-long meetings with Peter Semneby, EU Special Representative for the South Caucasus, and with his aides, before the 2008 conflict. These structures, however, are very bureaucratized...they must still have tons of papers about every meeting held and on our proposals. We have never achieved any concrete results. Being aware of the situation, we did not ask that our independence be recognized immediately. But is it really so essential that all the procedures go through Tbilisi in order for us to cooperate in the fields of culture, science, education, sport, and youth? What about the NGO sector? Many local Non-governmental Organizations are in contact with European structures, including the Commission itself. They receive funding, sometimes even of considerable amounts. As I already stated in an interview a couple of years ago, I believe that the relations between Russia and Abkhazia should be about the same as the ones between France and Monaco, starting with a common currency. Putin himself, later on, expressed a similar approach to the issue. In Sukhumi, signs of the early '90s conflict are still visible: one can see many destroyed buildings, even in the downtown area. What are the reconstruction plans for this city? Sukhumi was totally destroyed in the Russo-Turkish war of 1877 and the city that you see today was planned towards the end of the eighteen hundreds by Russian and European architects. It is very important to preserve the details of the old Sukhumi. A few new buildings have appeared in the city that definitely ruin Sukhumi's appearance. The reconstruction will take place, but the process is tightly linked to our relations with Russia. If a law is passed that allows Russian citizens to buy properties in Abkhazia, everything could happen very fast. We do not want Sukhumi to resemble Sochi or Adler (the main tourist resorts of the Russian Riviera) where there is no room for taste or culture. This is definitely a threat. There should be a general plan regarding the city's architecture and urban development but, unfortunately, there is little patience. What about the construction of democracy? The civil society is active; there are independent newspapers. To tell the truth, though, our NGOs are becoming more and more pro-government. The press gives different opinions and points of view from within our society and reports about things that do not go as they should. But most of the local NGOs are changing and are now allies of the authorities. They tend to tackle issues by talking directly with them, leaving both the press and society out of the process. Were the December 2009 elections free and fair? In a way yes, but not completely. They were conducted with the primary goal of preserving stability. We cannot affirm that Bagapsh's victory was clear and indisputable. The main problem, anyway, was within the opposition itself, which was unable to demonstrate unity or present any credible candidate to vote for. Talking again of Europe, can you imagine, at least in theory, Abkhazia being part of the European Union one day? Absolutely. The problem, of course, is on what conditions. It will never happen if the price is a European request to reunite with Georgia. Mr. Lakoba, do you personally feel European? It is not a matter of feeling European or not...if you want it or not. Obviously, first of all we are Caucasians. But, as the poet Osip Mandelstam (who visited Abkhazia in 1930 while travelling to Armenia) stated, these lands belong to the Mediterranean culture. I also deal with archaeology, and this bond is clear when we perform excavations or when we unearth finds. It is a story that starts with ancient Greece and Rome.